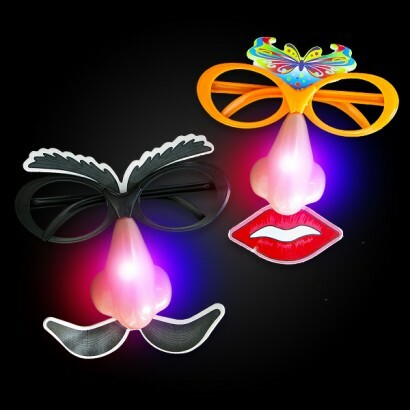 These fantastic Light Up Faces are a hilarious take on the classic disguise! 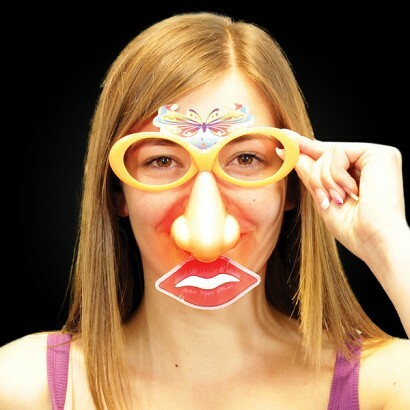 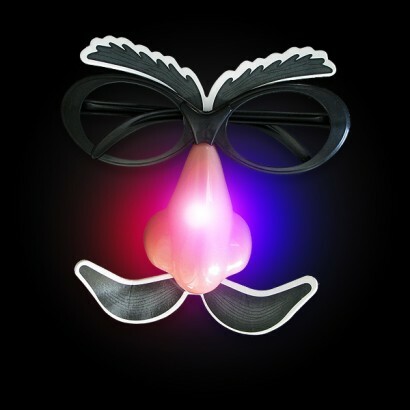 Hide behind glasses and a false nose that light ups with red and blue flashing LED’s for a hilarious party look! 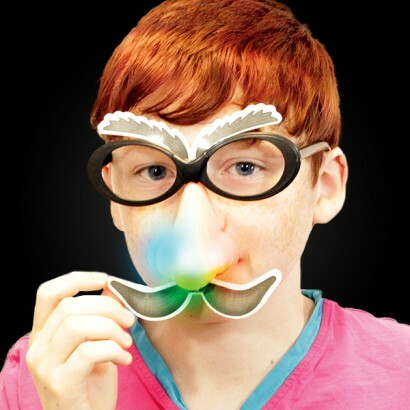 Complete your look with a moustache or hot lips and you’re sure to get away with many a party antic as no-one will know that it’s you!